If you're a new starter, or somebody just gave you extra SAS administration responsibilities, you may be struggling to find your way around the new SAS environment. Brian Varney presented an insightful paper at this year's South East SAS Users Group (SESUG) entitled Getting to Know an Undocumented SAS Environment. Brian's insights will be of use to those pitched into the situations I described above. Brian structured his paper into what, where, and who. In each section, Brian presented brief tips and techniques for discovering details about the SAS environment. How do I know Brian presented this paper? Did I visit Durham in North Carolina and attend SESUG? Sadly, no. But I do subscribe to SAS's SAS Users Groups blog. It reduces the jet lag! Christina Harvey's How to Document Your SAS Environment article alerted me to Brian's paper. If you're in need of a better understanding of your SAS environment, I recommend you check it out. AND, it's clearly a popular topic because David Chapman was talking on the same topic at NESUG (NorthEast SAS Users Group). In Determining What SAS Version and Components Are Available (MA01) (highlighted on the SAS Users Blog, again), David discussed a macro that he had written to display salient information. I was most interested to follow his reference to SAS Knowledge Base article KB20390 which offers some very neat code (with very neat output, more to the point) for displaying what server software you're licensed for, what you have installed, version numbers and a bunch of other stuff. I noticed a most intriguing post on Paul Homes's Platform Admin blog recently. 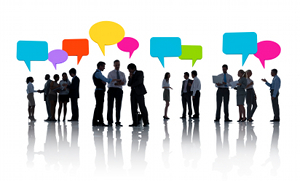 Do you and your colleagues discuss your metadata often? Paul thinks you should, and I'm inclined to agree. This isn't a new or unique idea. SAS were talking about a collaboration framework at this year's SAS Global Forum, and I wrote a brief post about it. The idea of having a platform to facilitate business-like discussions that are focused upon specific business objects such as web reports, information maps, tables, stored processes and cubes seems to hold value. You'll recall that Paul runs Metacoda Pty Ltd, providers of SAS services plus the excellent Metacoda Security Plug-Ins for viewing your SAS security metadata and rules. Well, Metacoda are now in the final stages of development of a new product to facilitate discovery and discussion of your metadata. I think the idea has great merit. Metadata is not just a technical thing; it represents the objects that are important to our business. Paul is seeking collaboration with enterprises who might be able to make immediate use of Metacoda's new tool. If your interest is piqued, get in touch with Paul via the link at the bottom of his post. I'll confess that whilst there was a lot said about SAS Visual Analytics at this year's SAS Global Forum, I came home with some confusion over its architecture, functionality and benefits. I was fortunate to spend some quality time with the software recently and I think I've now got a good handle on it. And it's impressive. It's comparatively early days in its life cycle; it provides value for a significant set of customers, but it will benefit an ever larger population as it evolves and gets enhanced over time. The key benefits as I see them are i) its handling of "big data", ii) its user friendly yet highly functional user interface, and iii) its ability to design a report once yet deliver the report through a variety of channels (including desktop, web and mobile). The big data element is delivered through in-memory techniques that are incorporated in the SAS LASR Analytic Server. In essence, this means that you need to reserve a number of servers (on commodity "blade" hardware or on database appliances from EMC Greenplum and Teradata) for the purpose of providing the in-memory capabilities. Once the data is loaded onto the LASR server and copied into memory, users can explore all data, execute analytic correlations on billions of rows of data in just minutes or seconds, and visually present results. This helps quickly identify patterns, trends and relationships in data that were not evident before. There's no need to analyse sub-sets of your data and hope that they are representative of the full set of data. 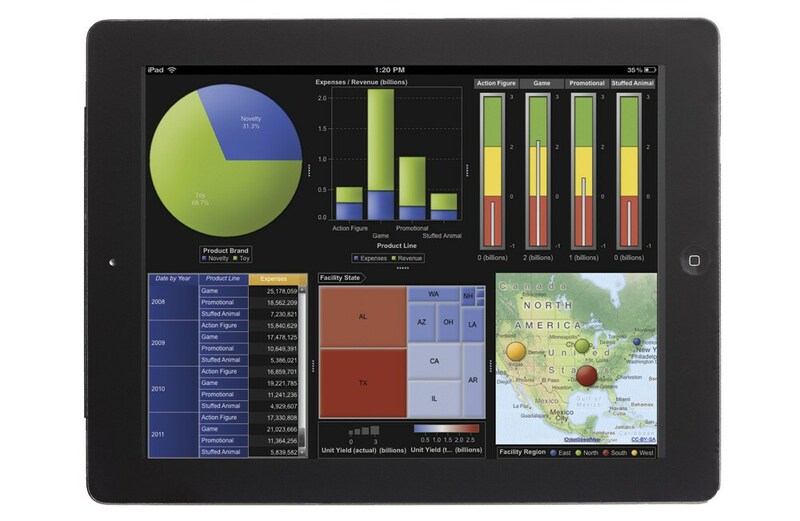 The user-friendly interface is largely drag-and-drop in a similar style to the design of Excel pivot tables. There is a wide range of output styles such as tables, graphs, & charts, and these can be laid-out into a report and linked together for synchronised filtering, drilling, slicing and dicing. The current release incorporates regression analysis and correlations. I anticipate that future releases will soon after more functionality such as forecasting. The reports that you design in Visual Analytics are simultaneously available through a number of channels including web, and mobile on iPad & Android. This means that your dashboards and reports are available to anybody, anywhere (combined with SAS security measures that make sure nobody sees any information that they are not meant to). All-in-all, SAS Visual Analytics is another step in taking away the friction caused by technology limitations and allowing analysts to execute their analytical processes more effectively and efficiently. Less programming, more analysis, better results. There's a debate in the UK, and many other countries around the globe, regarding the content of the IT curriculum (or, ICT as it's known in the UK). Speaking from experience, my kids have been taught how to use Microsoft Office products, but they haven't been taught programming in any of its guises. I've bemoaned this in the past, and I continue to do so. There is an increasing number of fun ways to learn programming and computer science. The Raspberry Pi device is one good example. Another, not mentioned in these pages before, is the App Inventor for Android. You don't need an Android phone to use this Google-initiated tool to develop real-life apps for Android phones. I showed this to my daughter and she was instantly inspired to create a One Direction soundboard app and share it with her Android-toting friends. Result! 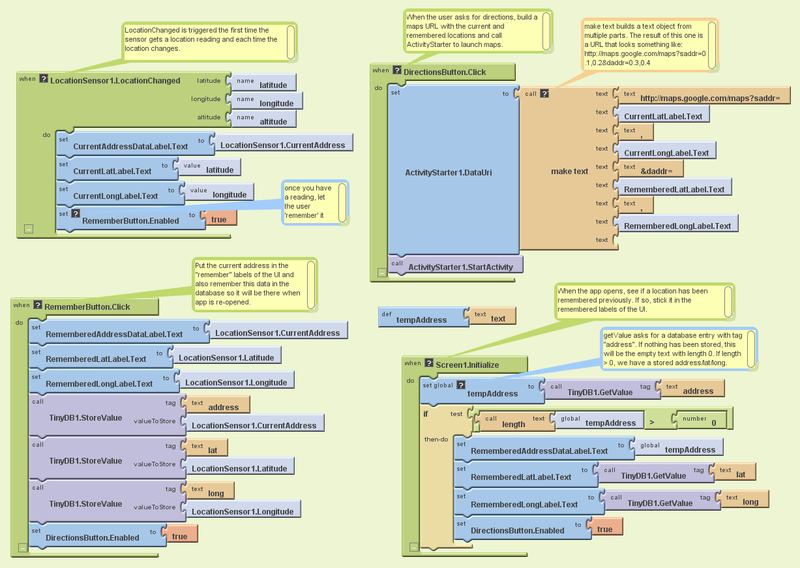 As I say, you don't need an Android device to use App Inventor. That's because it has a built-in phone emulator that you can run on your PC. The emulator is a precise emulation of an Android phone, so you have to wait for Android to load on the phone and then swipe horizontally to unlock it. The concept of App Inventor is to permit the creation of programs by visual means - designing the screen, then creating the program by slotting together a wide variety of jigsaw-like programming constructs. It sounds limited but it's not. App Inventor started life as a Google experimental lab project in 2010 but it was halted at the end of 2011. Massachusetts Institute of Technology (MIT) took over the support of the project and it's now known as MIT App Inventor. It has a few rough edges, but it's worth persevering through those small problems because the ability for kids to create mobile phone apps is inspirational. Not only is my daughter hooked but those to whom I've recommended it now have their own kids hooked on producing increasingly complex and functional apps too. And what better way to promote something than with a competition. That's just what MIT have done. With four different age categories (including an open age category for adults), and a first prize of a Nexus 7 Android tablet in each category, there are many good reasons to get the app of your kids chosen as "most outstanding". The competition closes December 12th so you have a good number of weeks in which you or your kids can i) think of a great app idea, and ii) get familiar with App Inventor and get coding. To get started with App Inventor, go to the site, click Explore, go to the Learn tab and follow the tutorials. In the Setup tutorial, make sure you install the App Inventor software on your PC. However, to enter the competition you'll need to join the App Inventor Community Gallery (The Gallery is in Beta, go to The Gallery to request full access). There is some excellent learning material on the App Inventor web site, but you can also find a lot of fabulous information at Professor David Wolber's site. Prof Wolber teaches computer science at the University of San Francisco (spooky, San Francisco again!) and uses App Inventor in his courses - and he wrote the App Inventor - Create Your Own Android Apps book. I started the NOTE: blog in 2009. It was a successor to the highly-popular email newsletter that I used to send between 2001 and 2006. At its height, the email newsletter had 4,000+ subscribers. 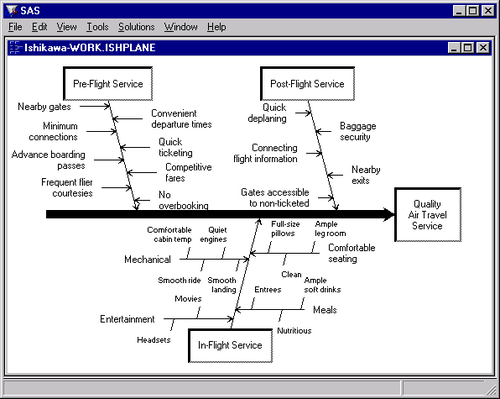 One of the regular features was "SAS With Style". Below, I've included one from 2001 which still holds true and which I still practice today. The focus of the tip is comments. Despite attempting to write unit specifications that provide sufficient detail of what is to be built and coded, I occasionally find that I have provided insufficient detail in some places (yes, I know, you're shocked!). In some cases it will be appropriate to revisit the documentation to augment it, but in others it may be pragmatic to include the detailed design in the code. Moreover, for those to whom external documentation is anathema, it is crucial that the comments in the code reveal the full rationale and intention of the design. Jef Raskin wrote a good essay on the subject back in 2005. You can still find it on the Association for Computing Machinery (ACM) web site. It's entitled Comments are More Important than Code. Ed Gibbs added some of his own thoughts to the discussion in 2007 in his Musings of a Software Development Manager blog. Ralf Holly provides a neat, alternative summary of the topic in his 2010 blog entry. All three articles are worth a read. 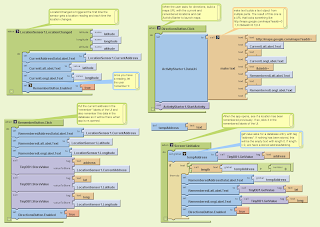 One of the less-attractive aspects of a programmer's life is maintaining existing code. Most programmers would prefer to be creating something new rather than manipulating old code. But maintaining old code is a necessity, be it your own code, or somebody else's. And in those circumstances, you will be grateful if the code has been written in a neat and clear fashion. The overview block gives any maintenance programmer a great outline of the program and also acts as some kind of index. A general rule of thumb is to have between 6 and 12 sections (yes, I know the example breaks the rules). If the code in any of the sections is large, consider using a secondary level overview block to break it down further. This style of commenting simply follows the oft-quoted rule of divide and conquer - break down your problem into small, manageable pieces and solve each of them in turn. Putting aside my mis-spelling of "subsetting" (albeit, I was very consistent! ), this eleven year old tip is still an approach that I frequently follow today. Next year's SAS Professionals Convention will be in Marlow, 10 - 12 July. If you're in the UK, or able to travel to the UK, it's one of the most valuable training events you can attend in 2013. And very reasonably priced too (£150 for three days in 2012). 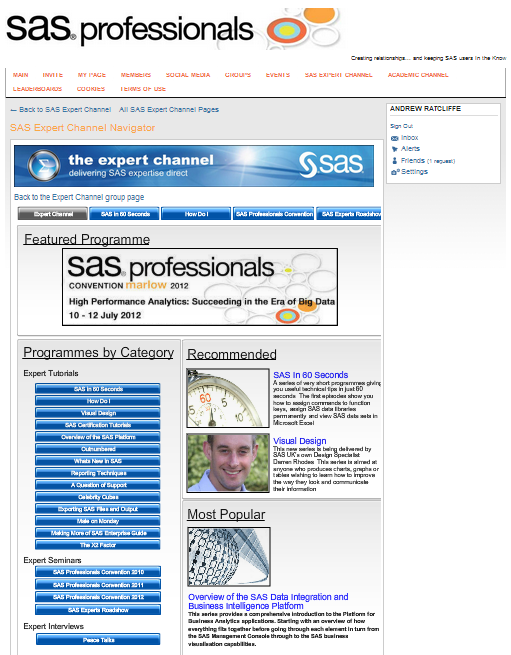 However, the SAS Professionals web site offers a lot of valuable information year-round, including the Expert Channel. The Expert Channel offers expertise direct to you on-demand and via interactive live sessions. If you're not already a member of SAS Professionals, get yourself over to the web site and sign yourself up (for free) immediately! Members should take themselves to the Expert Channel group page and make sure they have joined (for free). And once you're in the group, click on the large blue "To Access the Expert Channel On Demand Click Here" graphic and get yourself to the Expert Channel Navigator page. From the Navigator page, there are videos aplenty to view and learn from. One of the most popular series is SAS In 60 Seconds. This series is sub-divided into Base SAS, SAS Enterprise Guide, and SAS Web Report Studio. In each sub-division there are plenty of short (60 second) videos on key topics. The bite-size videos are a great way to pick-up new information. 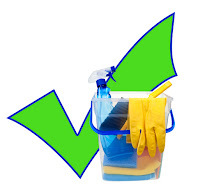 Much of the other On Demand material on offer is derived from the live web sessions that are offered on a monthly basis. These recordings are usually closer to an hour in length. There's a large set of recordings in the SAS Certification Tutorials sub-section. If you're planning to sit for any of the SAS certifications in 2013, you should check these out. Depending on your circumstances (and your time zone), the live sessions might be more difficult to access. But it's good to know that the sessions are recorded and made available on demand. Yesterday's session was "SAS Certified Advanced Programmer for SAS 9 Tutorial", next Monday's will be "SAS Certified Base Programmer for SAS9 Tutorial", and this will be followed by "SAS BI Content Development for SAS 9 Tutorial" on Monday 26th November. Events continue into December with topics including Data Integration and Platform Administration. You can see the full programme in the Events section. If you plan to attend any events, be sure to register (it's free). So, all-in-all there is a wide variety of quality material available. It's worth taking the time to get through the multiple steps required to join SAS Professionals and then join the Expert Channel group. And don't forget to make sure you've budgeted for SAS Professionals Convention 2013! I recently mentioned the use of Ishikawa diagrams for assistance with problem solving. I have frequently found them to be of value. However, what I had never realised, until my friend Chris Brooks pointed it out, is that there's a PROC ISHIKAWA in SAS! It's part of SAS/QC (for Quality Control of processes), so that's my excuse; I've never used any PROCs from QC. I recommend the creation of Ishikawa diagrams on paper (as part of a team process, using a white board or something similar). However, it can be useful to create an electronic copy after the event, and PROC ISHIKAWA may be the ideal tool for that purpose if you're licensed for SAS/QC. I think I'm becoming a bit obsessive about SAS Global Forum 2013, to be hosted by San Francisco. I mentioned a couple of months back how the sound of The Flower Pot Men had been floating around my head - Let's Go To San Francisco. I realised last night that I've been watching a lot of San Francisco based movies recently. Is this healthy?! It started when we got a trial Netflix subscription and I watched Clint Eastwood in Escape from Alcatraz (on our TV via my son's Xbox). I'm not a great movie watcher, but I did enjoy the film and it inspired me to try-out some movies from the Google Play store and watch them on my Android tablet. It was a positive experience. It was easy to rent the movies, and the playback on the tablet was good. And, I noticed that I can stream them or I can download them. With 30 days in which to watch them, I noted the fact that I could download a number of movies onto my tablet and watch them during my journey to/from SAS Global Forum. What movies have I watched on my tablet? Well I continued the action theme by watching Steve McQueen in Bullitt, then I returned to Clint Eastwood in Dirty Harry, and then I saw The Maltese Falcon. None of them new, but all classics. It was while I was watching The Maltese Falcon that I realised that all four films were set in San Francisco. I hadn't deliberately set out to watch San Franciscan films. My favourite? 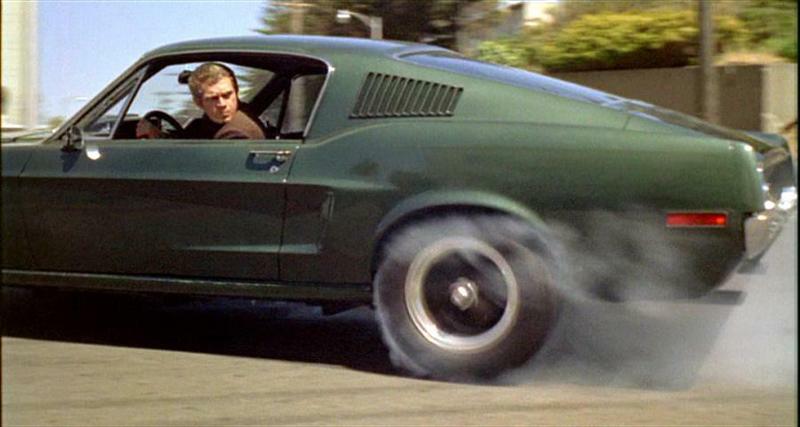 It has to be Bullitt. I'm a petrol head and I loved McQueen's Mustang. Just the sound of the engine was heavenly. Is all this interest in San Francisco healthy? I'm not sure, but I've enjoyed the films, and I'm looking forward to learning lots at SAS Global Forum next year, so it can't be all bad. Back in September 2009 (that seems so long ago!) I wrote an article on problem solving using the 5 Whys technique. Some correspondents suggested that 5 Whys was a trivial/obvious technique, but they were missing the point somewhat - sometimes we overlook the obvious and need reminding of it, and sometimes the simplest techniques can provide the most valuable results. That said, no one technique is guaranteed to work in all circumstances, so I thought I'd offer another technique that I use quite frequently: Ishikawa Diagrams, another part of the Six Sigma tool kit. They're sometimes known as cause-and-effect diagrams or herringbone diagrams. Again, they appear simplistic; and once again, I say beware of dismissing the simple and obvious! As with 5 Whys, the interaction between the people using the technique is perhaps the heart of the process, but the process guides and facilitates the discussion and discovery of information. 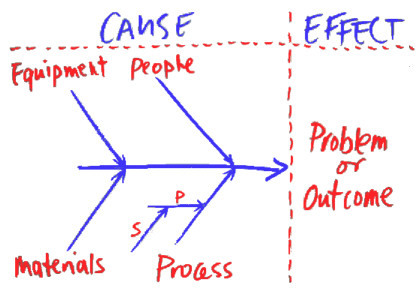 Like 5 Whys, Ishikawa diagrams will help you to get to the root cause of your issue. Ishikawa diagrams are a great way to engage all participants and get a balanced list of ideas. They provide structure for any review session, and they encourage participants to push beyond symptoms to uncover potential root causes. However, you'll get the best results if you have a precise problem definition at the start of the review session. If you look carefully, you can find tools for drawing nice, neat Ishikawa diagrams but, in my opinion, you can't beat getting a group of people armed with marker pens and sat around a whiteboard or drawing board. The human interaction is an important part of the process. First documented by Kaoru Ishikawa in the late 1960s, Ishikawa diagrams are a firm part of many sets of practices including Six Sigma and ITIL. Highly recommended.